After failing to see result from the use of minoxidil she decided to consult Dr U about a transplant. 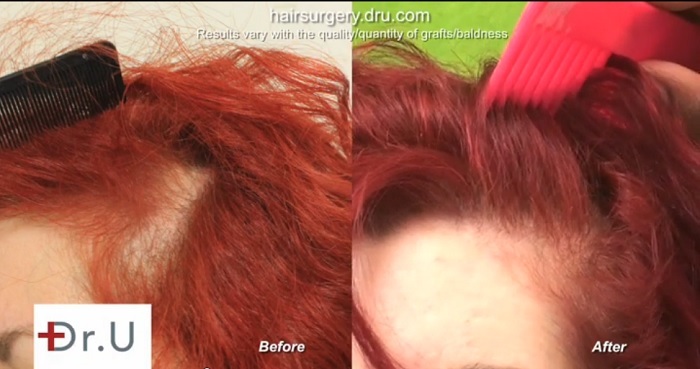 Since only a small area was involved Dr U recommended and used only 200 grafts from the back of her head to restore her left temple loss. Dr U used his patented UPunch and UGraft revolution FUE technology to perform the work.